With the recession hitting pockets and wallets of many countries in the last couple of years there has been an increase in the amount of people leaving to live and work abroad. Apart from working in another country one can get a sense of differing ways of life and traditions which is an education in itself! Teaching English as a Foreign Language (TEFL) is becoming a popular way of emigrating and immersing yourself into a new culture. There is huge demand for native English speakers to teach English across the world. In some countries a person can make a lot of money teaching English and the perks can seem very attractive. Even for people who don’t teach there are opportunities in many multinational companies in many different capitals of the world. 1. Where Should I Teach? 6. What Documents Do I Need To Take? 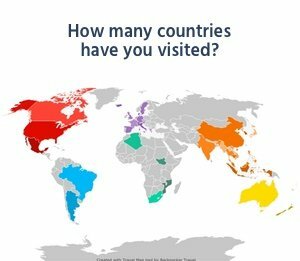 What countries/ cultures interest you? Starting with this simple question should narrow your geographic location down. What age group/level of English do you want to teach? Kindergarten? Elementary School? Middle/High School? University? Business English? Home to kimchi and Psy, Korea is a high earner for foreign English teachers. Wages start at roughly $1800 a month with many schools offering round trip flights from your home country, medical insurance, generous holidays and an apartment. Korea has two options for teaching English. One through public schools (EPIK) and one through private academies (hagwons). Public schools often start off with lower wages, The working hours are during the day (8-4 /9-5). The class sizes are quite large roughly up to 35 students, and the holidays can be generous 4+ weeks per year depending on the school. Hagwons more often than not give a good starting wage, but for this wage you often work late or long hours. (10-7/2-11) The class sizes are quite small up to 13 students in most hagwons but holidays can be quite measly with these type of schools starting at 5 – 10 days per year. A country often famed for its animation and crazy fashion is another popular choice for English teachers. The top choice for teachers here is JET which is a program that can bring you to Japan. Given the generally higher level of English proficiency in Japan, work in the country is becoming harder to find. But, work can still be found in most major cities. Work conditions typically ask for 30-40 hours of teaching time a week, and while pay is substantially higher than other countries, the cost of living is a factor. Apartments are not usually provided as part of the salary package, be sure to check the job description before you make a decision! Boasting one of the most ancient cultures in the world and one of the most vibrant developing economies, China is seen by many as the new land of opportunity, and it certainly is when it comes to ESL teaching positions. With 1.6 billion people and an ever-increasing demand for English language training, there are jobs all across China ranging from bustling cities to sleepy rural ‘new cities’, to places where you’ll likely be the only foreigner the locals have seen in their lives. Teachers in China generally work in either the private sector or in universities. It is also possible to teach in primary and secondary schools, but teachers are employed through private third parties and do not work directly for the school. Private employment contracts pay anywhere from 4500RMB to 14,000RMB a month dependent on hours, location, and the prestige of the employer. Companies like Disney English or major international schools catering to expats living in China are typically at the top of the pyramid, while smaller academies in less major urban centers are at the other end of the scale. Work conditions vary between 20-40 hours of teaching a week with the possibility of mandatory office hours. Schools either provide an apartment or a small stipend with which to rent an apartment. University jobs generally pay between 4000RMB and 6000RMB a month but tend to have lighter work schedules and considerably more holiday time than private schools. Accommodation is almost always provided on campus. Due to the fact it’s a popular tourist location, Thai employers are able to offer considerably less money than a teacher could earn in other Asian countries. Given the low cost of living in Thailand, though, this is not always a deal-breaker. Jobs in Thailand are rarely in popular spots like Phuket, Bangkok, or Chiangmai; but tend to be in smaller rural centers that may be several hours bus ride from the nearest city of any real size. They offer a great opportunity for immersion (something that is harder to come by in the more populous East Asian nations), but that means sacrificing western conveniences. Brazil in the past couple of months has been up and coming in terms of ESL and it definitely at the center of the world radar with the world cup. Brazilians are renowned for being extremely friendly. With the lure of working holidays in Canada and Australia, Brazilians are eager to begin to learn English with the intention of studying further abroad in the future. So there is definitely a huge market for teaching English here. Teaching in Brazil can earn you anything from 8 – 26USD an hour depending on where you work. As with most nationalities, Brazilians prefer to study with a native English speaker as they feel they will learn the accent and pronunciation of English words better. Of course, teaching English in a business setting or having qualifications will earn a person more money. Like any county living in a major city will earn you lots of money, but also the cost of living will be much higher and it can cut deep into your hard earned wages. The opposite can be seen in smaller towns and villages. You may earn less in more rural areas but you will also spend less as the demand is less. More often than not there are certain requirements which are paramount to teaching English with a school abroad. A degree is the basic qualification that most schools ask for. A college degree is often required to apply for a working visa. If you have higher qualifications that will stand to you too. Often schools will give you more money depending on your qualifications. The subject of your degree is rarely relevant. A clean criminal record is important for teaching abroad. Anything on your personal record can mean you will be rejected from teaching abroad. Nowadays most schools require a TEFL cert. They are easy to get and gives you a better idea of what a teacher does in between classes and gives you background on elements of teaching such as teaching different areas of english and lesson planning. CELTA is typically considered the best ESL teaching qualification, but you do pay for the prestige. More and more countries are stringently screening people before they can commence work in the country. In China and Korea, health checks include tests for illicit subjects as well as STDs such as HIV. Failing a health test almost always results in immediate deportation. Offers on online TEFL courses can be seen on the internet for very low prices. Before you spend the money on a TEFL course read the requirements with regards to TEFL courses on the jobs you are interested in. Some jobs require that you have a 120 hour TEFL/TESOL course that includes 6 hours teaching practice face to face. We have done the tedious work of scouring the internet for you to find the most comprehensive course at the best value and as such have partnered with i-to-i who are definitely the experts when it comes to teaching English abroad. They offer a wide range of online courses that are endorsed by language schools around the world and are the leader in TEFL certification with over 155,000 teachers trained since 1994. Best of all, they offer a “100% Money Back Guarantee” if you book a course with them and don’t find a job!!! You can’t beat that. Get started today by enrolling in an i-to-i TEFL course online. Prices start at just $249 for the Foundation TEFL Certificate. If English is your native language and you are considering working overseas we totally recommend getting your TEFL certification. Important Note: While it should be noted that in some cases, a TEFL certification is not a requirement of your visa, many schools will ask for it and check upon arrival. Regardless, it’s a handy resource for you as a teacher, and it pays to be prepared. Be sure to have your speakers, webcam and microphone in working order before your interview. Sometimes accents can be confusing. If you are unsure ask them to repeat the question. Most times, your interviewer might not be fluent in English. Know a little about the culture/area or country you are interviewing for. Be prepared to talk about why you are interested in the country. Nobody ever tires of hearing nice things said about the place they’re from! It’s not unheard of for ESL teachers to dress and look the part on video while doing the interview in their pyjama bottoms! How would you deal with different learners in and ESL classroom? How would you deal with unruly students? Describe a time where you have had to work as part of a team. Describe a time where you have had to think on your feet/improvise. In some cases, Skype interviews can be replaced with a pre-prepared video. Websites such as Vimeo and YouTube allow you to pre-record a video and send this along with your application. Use this video as not only a way to sell yourself, but also to introduce yourself as a person. A good example of one of these introductory videos can be found here. Getting an official contract sent to your email can be a very daunting experience. Once you get this you should read it, read it again and go through it with a fine-tooth comb. It might be handy to have a friend look at it as well, even if they’re not legally minded. A fresh set of eyes might spot something you’ve missed. If you haven’t done some research already on the school it is wise to do so. Just in case it has been written about on the internet or has a bad reputation.If someone has had a bad experience they will probably take to the internet to tell the story! Usually getting the contract is the first time you will have contact with the school. It is always wise to ask your recruiter for email/contact for other teachers so you can ask them questions about the school and life in the city you will work in. Is your airfare included? How is this paid? Do you pay at the end of the contract or is it paid for you before you go? It is important to know how you will get to the school from the airport. Will the school arrange a taxi for you or will one of the school staff meet you at arrivals? Is it single housing/shared? Will you have to pay utilities? How far is your house from the school? Always ask to see pictures if possible! How many hours a week will you teach? What are these hours (ie 8-4 etc) Do you have to teach split shifts? Does this include office hours? What days will you have free? You don’t want to spend your entire week sitting in school. How many sick days are included with your contract? Are they paid? Is there a clause that means you can be released/fired if you’re sick for too long? If you get sick how much will the school cover? Sometimes schools will cover 50%. The most important part right?! How much will you get paid? How often will you be paid? What taxes (health insurance etc) will be deducted from your pay? Will you have to work any overtime or on the weekends? How much will you get for doing something like this? Is overtime voluntary or mandatory? What happens at the end of your contract? In some countries such as South Korea, schools give you a flight home plus an extra months wages as a “thank you”. Also if you are looking at staying a long time, look out for a resign bonus which is the same thing but you are staying with your school. BA and MA degree copies – Notarised and apostilled for Korea. Sealed and signed degree transcripts from each year of college. Criminal Record Check – This should be already notarised by the superintendant, needs to be apostilled. A valid passport, usually with at least 6 months validity beyond the date of your contract. In countries like China and South Korea, your accommodation is sorted out for you before you arrive. You’ll typically arrive to find a furnished apartment with some of the essentials already provided. In both countries, this includes a microwave, television, bed, desk, refrigerator, shower, and toilet. South Korean apartments also come with a gas range, while Chinese apartments typically come with a single hot plate. Neither country is known to provide ovens. In other cases, you’ll either be provided with a rent stipend or be expected to pay for an apartment out of your monthly salary. Schools often help to arrange accommodation in these cases, but it is worth doing your research before you arrive. In cases where accommodation is not arranged beforehand, you’ll typically be at least set up with short term accommodation in a hotel while you search for a place of your own. Despite these apartments coming with some essentials, there are a few things you’ll want to either bring with you or buy upon arrival. Outdoor space is at a premium in built up Asian countries, so most locals dry their clothing inside. A cheap drying rack will be crucial. Many Asian cultures do not make use of the big, fluffy towels we’re used to at home. Korean towels are typically the size of hand towels, so it’s handy to bring your own. It’s worth noting that most apartments do not come with towels (or any linen, for that matter). You’re going to be a long way from your friends and family, so bring a little something to remind you of them. Photos, posters, calendars, and knick-knacks that make a place feel like home are mighty helpful in those first few months. For male travelers, it’s good to bring your own protection. While condoms are available all over the world, they’re definitely not a ‘one size fits all’ prospect. For females, birth control methods such as the “pill” vary greatly from country to country. Check with your doctor to see what is the equivalent brand. While it’s possible to get deodorants and shower gels and the like in Asia, you’ll typically pay a premium for brands from home (if you can find them at all). Bring along a supply of your favorite bathroom products. When it comes to tampons, China and South Korea, in particular, err more towards the pad side of the debate. Bringing a supply of tampons is a must. It might seem impossible to condense your life into a 20kg (45lb) bag and ship it halfway around the world, but it’s all a matter of deciding between what you need and what you can buy abroad. Clothes, for example, are easy enough to buy abroad – although larger sizes can be a bit of a trial to track down in Asian countries. It’s often helpful to lay out all you want to bring with you and whittle it down piece by piece. Do you really need that fifth pair of jeans? Can you make do without your boxed set of Grey’s Anatomy on DVD? Can you buy a new jacket when you touch down? It can be expensive to post things from the west to another country, but it’s quite cheap to post things back from South Korea, China, or most SE Asian countries by sea mail. It’s hard to fit everything in when you’re arriving, but it’s easy to send back a whole lot of stuff when it’s time to go home! Coming from a country where handshakes and hugs are the norm it is strange to see people bowing to each other. Culture differences can be seen even close to home with so many people moving to other countries. You might not experience it straight away culture shock has pros and cons. Some people love to encounter new cultures and learn from scratch while for others it will be their worst nightmare. Google! Before you leave home it’s wise to google how people interact with each other in the country you will be entering. As with all countries, we are proud of our own traditions. In school, you will be expected to interact with these holidays by giving gifts etc. It’s always a good idea to interact with your own customs with your students/co-workers they might not have encountered St. Patrick’s day or Thanksgiving before! Sometimes you are expected to wait until the headmaster/head teacher has started eating before you can start. The important thing to remember is that everyone experiences culture shock at one time or another. You are not alone! Talk to your foreign friends and co-workers about how you feel. They have felt this too! Remember to always think positive about encountering new cultures. Sometimes it’s difficult but you did decide to come to this country so it’s polite to respect their culture and traditions. If you are craving your favorite snacks, get a friend or family member to send over a care package. Be sure to offer to share with your colleagues though. Read more in our detailed guide on Dealing With Different Customs and Cultures. Options are endless for fully qualified teachers. International schools can be found all over the world and offer very competitive wage, benefit and holiday packages. The main requirement for international schools is that you have a teaching degree. As most ESL teachers have a BA or an MA it does not entitle them to become an international school teacher. Right up front, it’s important to consult your contract before taking on private lessons. In South Korea and China, for example, you’re typically forbidden from working for anybody aside from your employer. This is often a visa requirement, and not just something in small print on your contract. That said, it can be a lucrative little side earner to take on a few private students, and it’s easy enough to do this and keep it quiet so that your employers don’t find out. They’ll likely approve it for the positive PR, but you don’t want it getting back to them from a student or their parent (and it inevitably will). If it’s in your contract that you can’t tutor outside of your work hours, don’t go spreading the word online. Governments are known to monitor popular expat sites looking to catch people working illegally. Usually, private tutoring sessions are set up through mutual friends. Tutoring sessions can range anywhere from an hour a week to 2-3 hours a day in intensive periods. Negotiating a fair wage shouldn’t be too difficult – just don’t accept less than you are getting for your day job. Tutoring has many benefits beyond extra pocket money: It’s an opportunity to get to know a local in a more relaxed environment than the classroom, and families will often treat you like their ‘pet foreigner’: taking you out for dinner or introducing you to their friends who also want extra tutoring done. It is possible to juggle both tutoring and a full time teaching job (at the cost of your social life, usually) and make a pretty penny while abroad. Moving halfway around the world to a foreign country in which you may not speak a word of the local language can be a daunting prospect, especially for a first-time traveler. That said, it’s also a fantastic opportunity for you to reinvent yourself and to make friends who share your love of travel and new experiences. An excellent idea before leaving your home country is to try and get an idea of the ‘lay of the land’. Search for the city you’re moving to on Facebook and see if there are any expat groups or Facebook pages you can join. This will give you an idea of what’s going on in the city, and also offers you an opportunity to introduce yourself before heading to the city. Googling the city’s expat scene is also a good idea. Many cities have foreign clubs and sports teams, and may even have purpose built foreigner networking solutions such as Nanjing’s Nanking Nation. Once foreigners go abroad they do not forget their favorite sport. Rugby, Gaelic football, soccer and running clubs are not unheard of abroad. If you are not a player you could check out some of the sporting tournaments going on in or around your area. It is a great day out and a great way to meet people! Hash harriers are a great way to be involved with a team. Harriers consider themselves a “running and drinking team”. You can go for one, the other or both. Failing all of the above, foreigners tend to clump together when they’re the minority in a foreign country. Do your research (or ask your co-workers) as to where the foreigners tend to hang out and just put yourself out there. It may seem intimidating, but remember they’ve all been where you are – and most people you’ll encounter in this environment are only too happy to add to their circle of friends. Teaching on your own for the first time can be quite hard. Try to keep your lessons as interactive and as fun as possible. Especially with the younger students whose attention can be attracted elsewhere at the drop of a hat. Handy Korean teaching board. Offers PPT layouts and lesson plans if you are stuck. Often quite helpful to get the ball rolling with a class. Some of the PPT game templates are fantastic for a fun class with kids! Useful for worksheets and ideas for word searches. You can get some inspiration for extra work yourself and higher or lower the level for your students. This website has everything from kids right up to business english. It gives some great ideas but might need to be made simpler sometimes for your students. The one downfall is that for some parts of this website you need to subscribe. But, it is possible to find some good information here.